Mika and Yuichiro are finally reunited! With Mika on the brink of death, Yui offers his blood to save his friend’s life—which turns Mika into a full-fledged vampire! 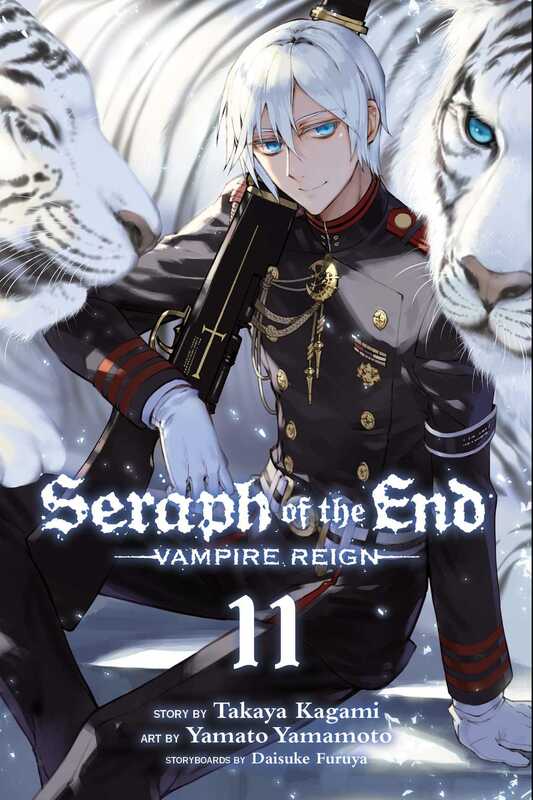 Meanwhile, the captured Guren is attempting to lead the vampires into a trap set by Kureto, who plans to end this battle once and for all using the Seraph of the End! All groups descend on Nagoya Airport for an all-out war!